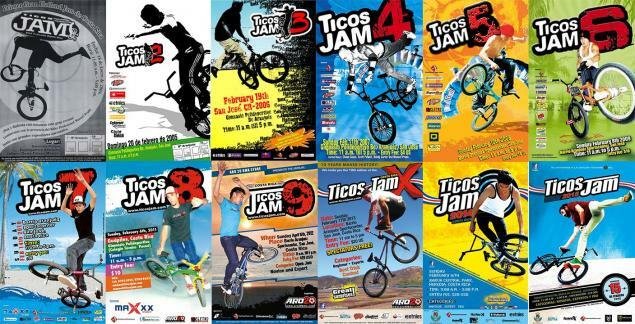 Ticos Jam organizer Mike Meza informed us today that the Ticos Jam series is coming to an end. The 2015 contest was the last one after 12 years. On one hand that's bad news because the Ticos Jam was an amazing event. On the other hand Mike gave a lot to the flatland community in central america and we can't thank him enough for all the hard work in the past 12(!) years. Much respect bro! Here is a statement from Mike: "I'm sending you this message to let you know last week I took one of the hardest decisitons of my life. The Ticos Jam series is over. This year was the last one. 12 years in a row makes this event one of the best ones in latin america and we are proud of it. I want to thank all the local and international riders and sponsors who support us during this years. Speciall thanks to: My wife Mary cruz and my little girls Alana and Erin, to Manuel Prado for chare this dream with me, to Pat Schoolen from www.flatlandfuel.com who believed in us from the begining. Thank's to Scott Powell, Bobby Carter, Chase G, the french crew, Jesse Puente, Terry Adams, Justin Miller and Jean William Prevost... You guys did not imagine how your magic motivated all the local riders to keep progressing with their bikes!" We hope the annual BMX War Jam will grow in the next years and give all of us a good reason to keep visiting Costa Rica with our bikes!